With Thanksgiving over, the shopping fervor has begun. ChristmaHannuKwanzaSolstice is coming up, and we all have a crapload of people we have want to buy gifts for. If you’re not buying cheap plastic-wrapped mass-produced stuff off of Amazon (the kind of stuff I like to get), you might be excited to know that there a ton of gift / craft-selling festivals coming up around Boston. The Bazaar Bizarre is next Sunday, December 4th. Imagine Etsy, in the real world, and that’s the Bazaar Bizarre. Handmade, did-it-themselves creations. Stuff that not only looks unique, but usually has an interesting story behind it. As much as I love Black Ink (Harvard Square’s eclectic gift store), this is the kind of event that will really delight those of you looking for fun, rare gifts. 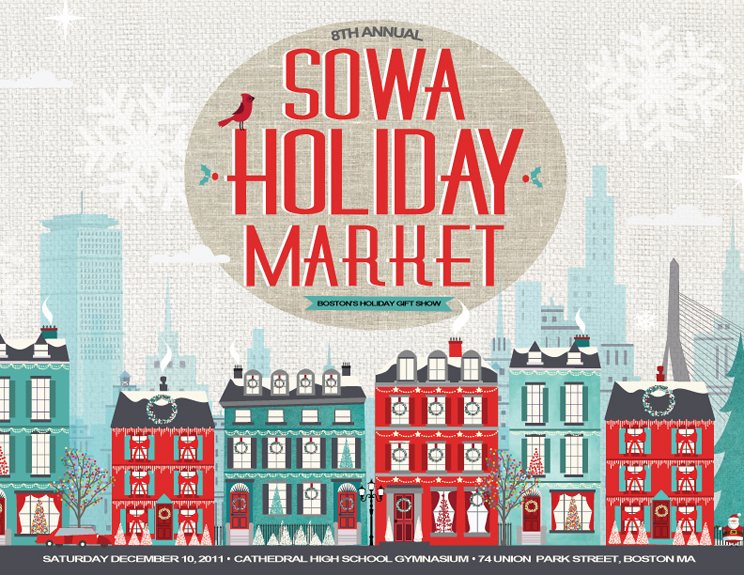 A week later, SOWA’s Holiday Market and Cambridge’s Holly Fair compete for your patronage of independent artists. The former hosts a (generally) much younger crowd of crafters; expect to find trendy letterpress cards, Harry Potter trademark-infringing inspired miniatures, funny silk-screened t-shirts, etc. The kind of stuff you’d find in Magpie in Davis Square. Whereas Cambridge’s Holly Fair is hosted by the Cambridge Center for Adult Education; their goods are made by adult artists who produce the kind of jewelry, fine art photography, leathergoods, etc. you might find inside Harvard’s Cambridge Arists Coop Gallery. Finally, from now until December 24th, Downtown Crossing hosts the Boston Holiday Market, home to dozens of food, gift, art, and jewelry vendors. Browsing this market is a fun experience; they have daily live music performances from noon to two every weekday, and noon to 4 / 6 on Sunday / Saturday. It’s a good companion to any fun you might have while at the Boston Common. I’m trying not to leave all my Christmas shopping until the last minute this year. Good luck with the same!